Using hair styling products and swimming in chlorinated water can cause dry and damaged hair. The good thing is that this can be restored using the cellophane hair treatment. Cellophane is a semi-permanent color treatment that uses clear glossing agents. This hair treatment works perfectly for the hair, giving it a shinny look as well as coating the shaft and thus the glassy texture. It can be done at home or in a salon; it also provides several hair color options. Learn how to apply cellophane treatment by yourself. 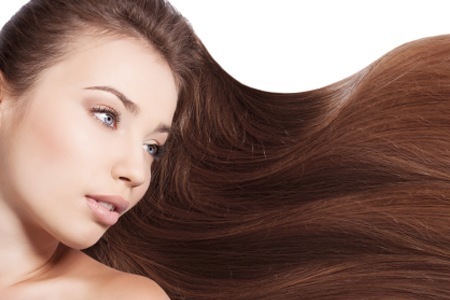 This is a hair treatment procedure that involves both clear and color formulas. Most of these products have the semi-permanent coloring but no peroxide or ammonia. The color is deposited on the hair and later washed leaving the hair looking lustrous as a result of the highlight. Something else you need to note is that you have to apply a darker color of cellophane than that of your hair. You could also use the same color as your hair. With the cellophane hair treatment, the effect is likely to last about 8-12 weeks. First and foremost, you have to squeeze the product from the tube pouring it into a color bowl in readiness with a color applicator brush. Part your hair in four sections and hold it in place with butterfly hair clips. Brush the cellophane color on hair from the root tip towards the end until the entire head is completed. Once you are through with brushing, cover the hair with a plastic cap. After the application, relax under a dryer for about 20-30 minutes. This way, you allow the hair to process the color. Wash the hair with shampoo for color treated hair. Follow up with conditioner and rinse thoroughly with clean water. The best product from cellophane hair treatment is Sebastian laminates hair color. Sebastian hair color is also the most commonly used brand of cellophane used by professional hair stylists. The good thing about this hair product is that it can be purchased online and used in a salon or at home. Normally, a packet of Sebastian goes for between $27 to $ 40 and comes in a tube. Treating your hair at home is less costly because you pay about $25 to $100 or more depending on the salon that you have your hair treated. So how does the Sebastian cellophane hair treatment work? Sebastian laminates is used in darkening the original color of your hair. In other words, it intensifies the initial hair color making it appear darker. If you are bored with your normal hair color, the good news is that you can boost it with the various shades in the line of Sebastian laminates. Some of the shades that have the ability to change the color of your normal hair including golden brunette, pearl blonde, gold red, hot red and honey blonde. With the many hair treatment procedures, it becomes hard to select the most suitable hair treatment for your hair. However, with the cellophane hair treatment, you can never go wrong. This is because hair treatment is done to your hair strands thus ensuring that your whole head is well taken care of and remains unharmed and undamaged. It is also pigment free meaning it wraps your hair on the outside thus saving you the danger of experiencing a burning sensation as it penetrates into the hair shafts.